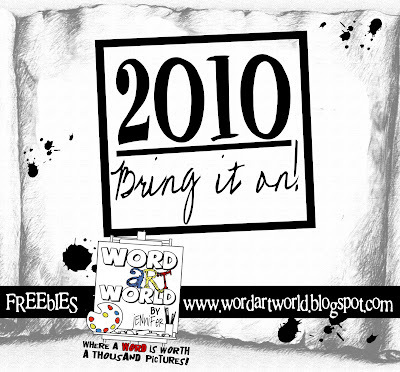 Word Art World: 2010 Bring it on! I am so glad you are back!! I love your word arts and was worried you weren't gonna do them anymore. Glad to hear you are feeling better. Thanks for all you do!